After Australian Federal government introduced carbon tax ( may be most of the countries already introduced or will introduce), companies started thinking about their IT carbon foot print. I would like to share my experience with these tools. 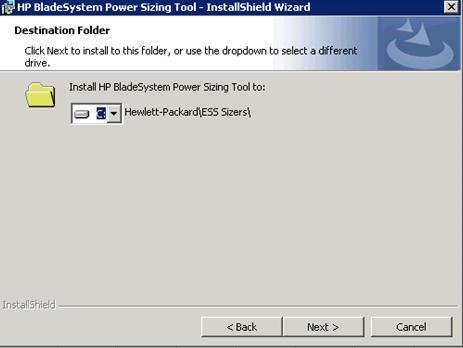 First , HP Blade PowerSizer Tool. 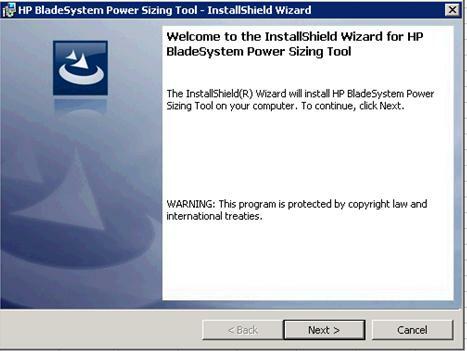 As name suggests, it helps as HP blade systems power calculater. 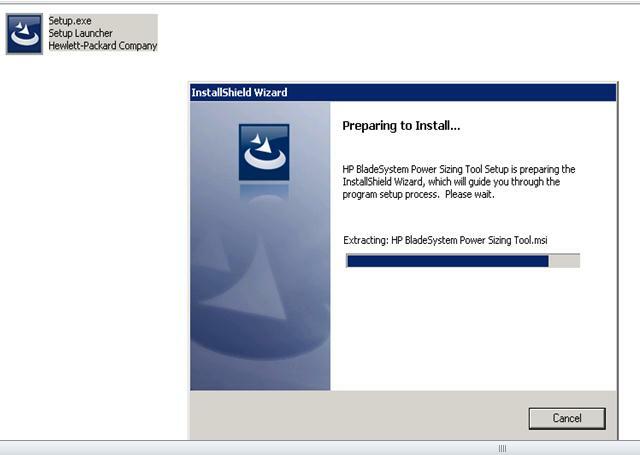 A quick and easy way to size your HP Blade sytem p-class and c-class infrastructure. HP has developed this unique sizer tool to provide valuable for planning, ordering components and preparing a site for delivery and installation of HP bladeSystem solutions. 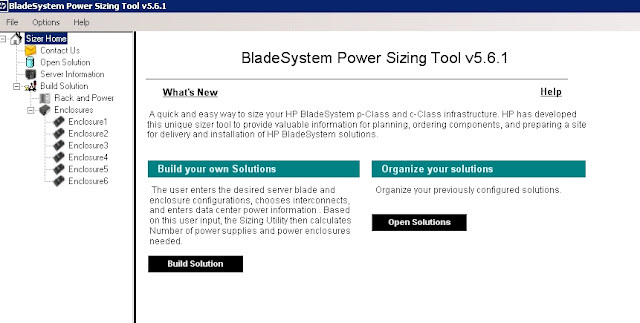 The HP BladeSystem Power Sizer assists facilities teams and IT staff in sizing their power infrastructure to meet the needs of an HP BladeSystem solution. Based on actual component level power measurements of a system stressed to maximum capability the BladeSystem Power Sizer enables the facilities team to effectively plan for the power consumption and heat load of an HP BladeSystem. The sizer allows a customer to select the type and number of components within each Blade Server and Blade Enclosure and see the effect of the changes on the power consumption and heat loading. 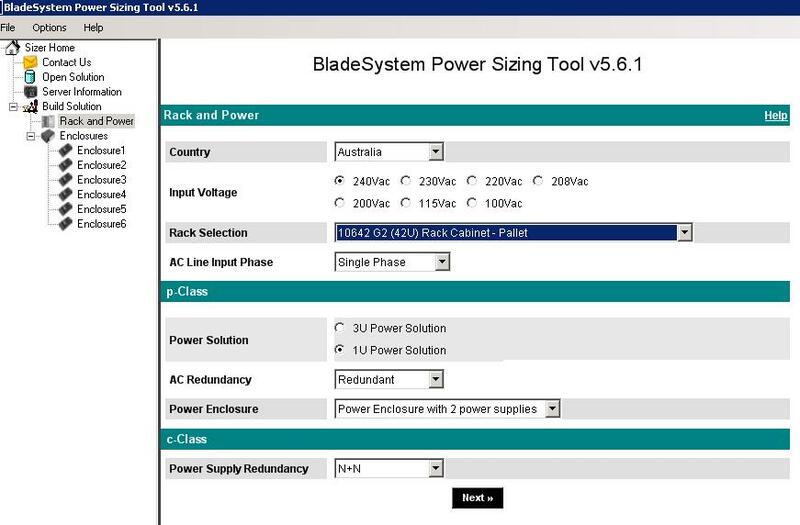 Values obtained from the BladeSystem Sizer tool are measured with all components stressed to 100% load and is intended for facilities planning purposes only. 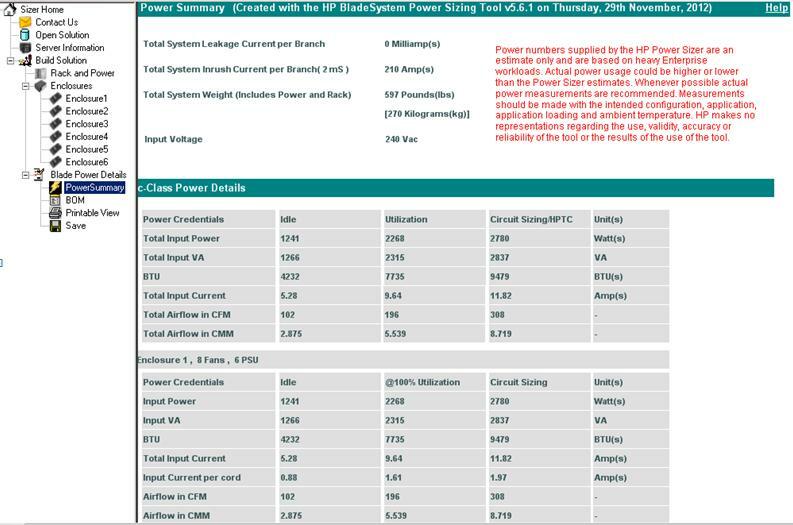 Actual power consumption will vary with application type, application utilization and ambient temperature. 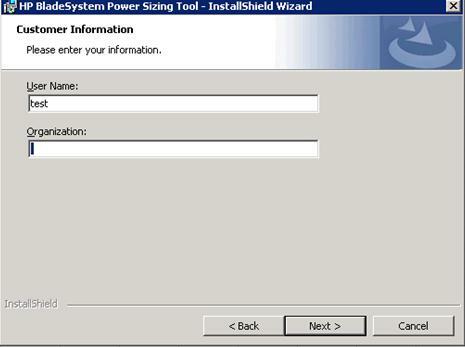 I have installed on Windows XP desktop. It doesn’t require reboot. 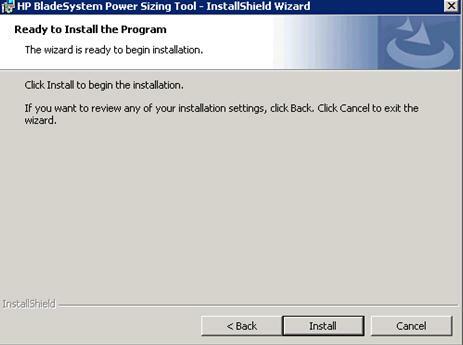 Then click install and then click on Finish to finalise installation. Then create profile at first launch by entering Name, email, customer and country. 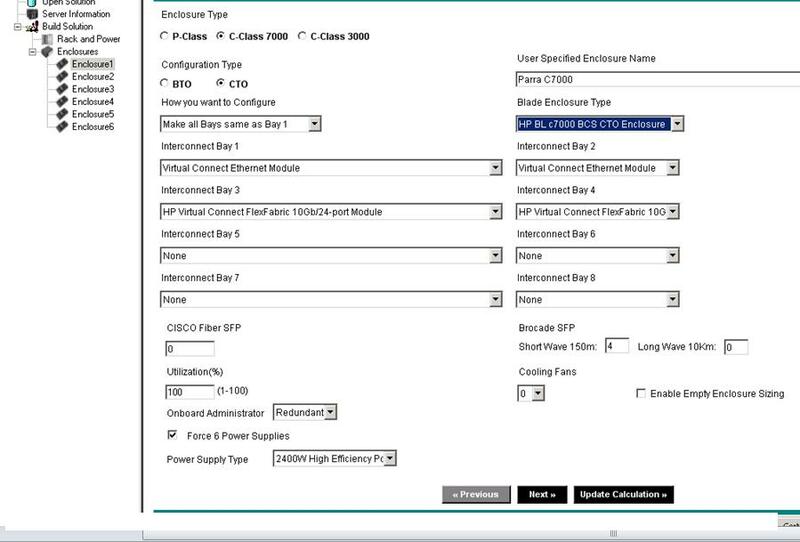 To directly jump onto enclosure and start entering details, navigate to enclosure in left pane and enter your hardware configuration. There are many things needs to fill up. 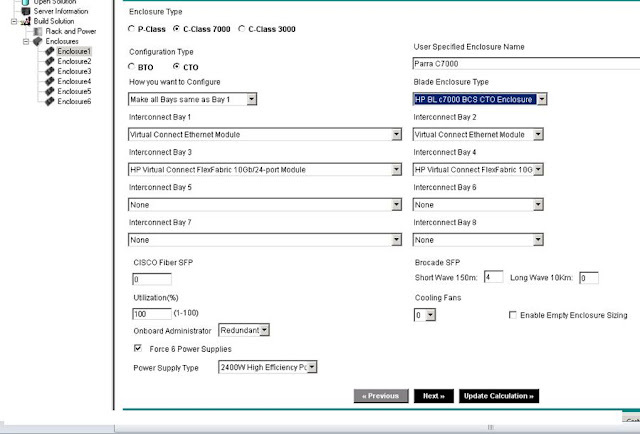 Select Enclosure type and configuration type accordingly. 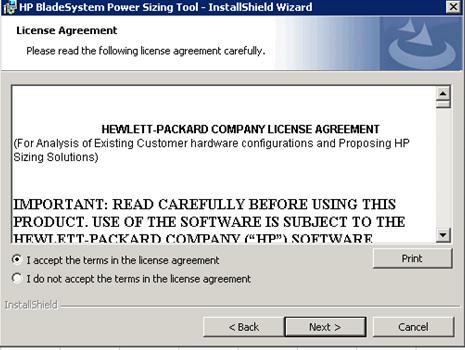 BTO - Build to order - This is something HP sells standard but they build when they receive order from customer. 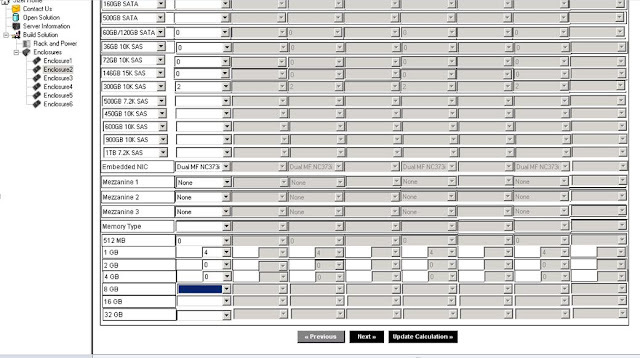 Then select how interconnect modules are spread in your enclosure and their models. 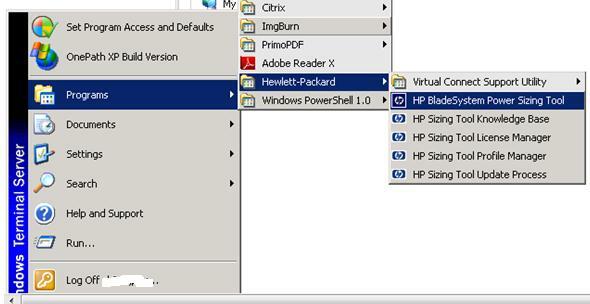 Select On Board admin, if you have two, select redundant. 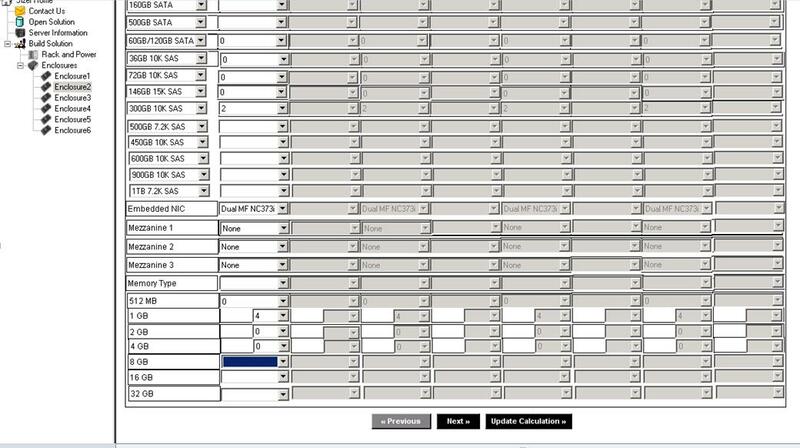 Cooling fans #, to get exact number, login to your enclosure via OA, navigate to “Power and Thermal- Thermal subsystem”, you can see number of fans installed and their status in enclosure. Most of the details, you get from OA. 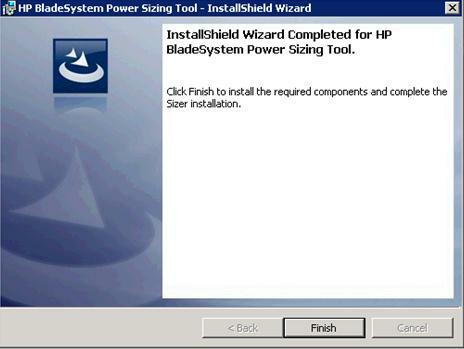 Drag the screen down and enter details based on what you have select in above steps for “How you want to configure”, next screen will be gives ability to either configure same blades in whole enclosure or let you to update each blade model. After entering all details, click on “Update calculator”, to go to report page. 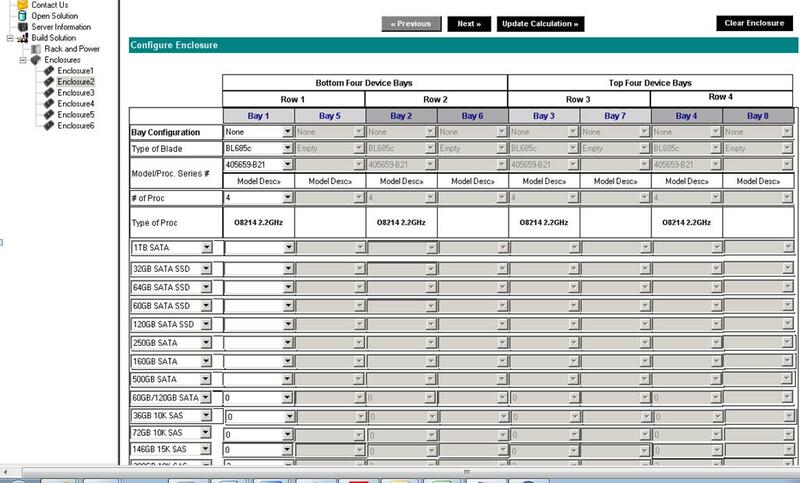 You can click on BOM to generate bill of materials, print and save.